LUGANSK, October 15. /TASS/. Ukraine’s forces shelled the militia positions in the self-proclaimed Lugansk People’s Republic eight times over the past 24 hours, the LPR defense authorities said on Saturday. "The area of the Kalinovo village came under fire six times," the LuganskInformCenter reported. The shelling was carried from 100mm and 82mm mortars, AGS automatic grenade launchers, RPGs and small arms from the direction of Novozvanovka, Novoaleksandrovka and Troitzkoye villages. The Maryevka village area was hit twice with AGS and small arms rounds fired from the direction of Zolotoye. "There were no casualties," LPR militias said. The participants of the Contact Group on settlement in eastern Ukraine at the meeting in Minsk, Belarus, on August 26 declared an indefinite ceasefire in Donbass starting from September 1. This was the ninth attempt since autumn 2014 to observe the silence regime in the region. However, the security situation in Donbass did not improve significantly. The leaders of the self-proclaimed Donetsk and Lugansk People’s Republics ordered the militias to refrain from retaliatory fire in response to any provocations from Ukrainian troops starting from September 15. 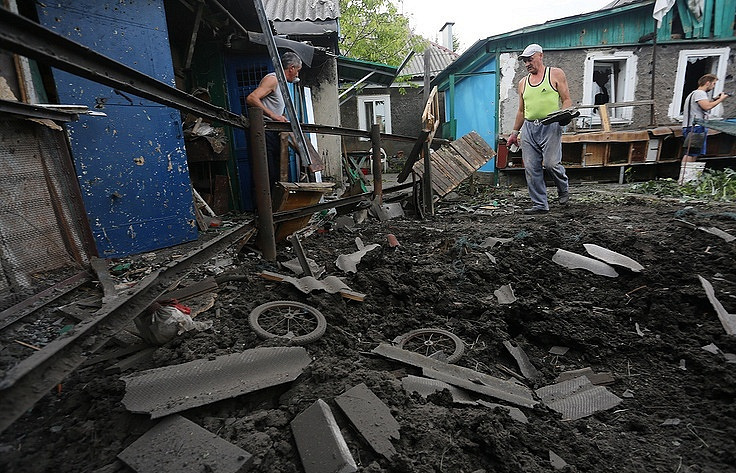 Kiev also expressed readiness to observe the ceasefire in Donbass, but the shellings continue.